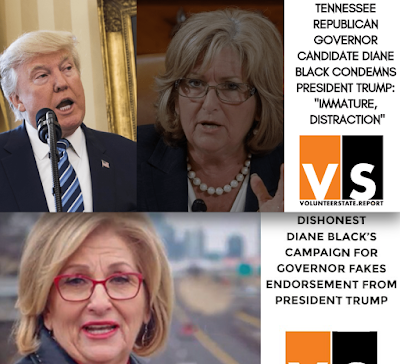 According to the Trump Affinity tracker House Budget Committee chair and far right extremist Diane Black (R-TN) scores a 93.2%. The times she didn't vote with Trump it because she supported a position that was more right-wing and more extreme than his, like when she opposed raising the debt limit to extend government funding for victims of Hurricane Harvey last year. She's real monster. And Thursday, her bid for the Republican gubernatorial nomination tanked. She had started as the clear front-runner... and came in third. Of Tennessee's 95 counties, she only won 2, solidly Democratic Shelby County (Memphis) by a handful of votes, and tiny Stewart County. She didn't even win Knox County, where she's from or any of the counties she represents in Congress! Most of the media spin Friday morning was how Black was the 5th House Republican this year vying for higher office who lost. Fair enough. Black was a special case though. She's incredibly extreme with a 1.23 career long crucial vote score-- that's 1.23 out of 100-- which was the worst of any of anyone from Tennessee. Almost all of her TV ads tied her to Trump, but Trump, who has said publicly that he likes, refused to endorse her. Pence endorsed her but in the Party of Trump, Pence's endorsement means squat. She went front front-runner to loser as it became clear Trump wasn't going to back her. Two businessmen from outside political circles drew in more votes than she did. The primary winner, former plumbing executive Bill Lee will face off against Democrat former Nashville mayor Karl Dean in November. Black ran loads of negative ads while Lee's messaging was all positive. Voters learned to dislike her fairly quickly. Multimillionaires, Black and Boyd self-financed their campaigns-- Black with $12,200,000 and Boyd with $19,400,000. Lee spent $5,200,000 of his own. Democrat Karl Dean also contributed $1.4 million of his own. He won a landslide victory over the more progressive House Minority Leader Craig Fitzhugh, 279,324 (75.1%) to 72,263 (19.4%). In the Senate primaries, both former Governor Phil Bredesen and another congressional right-wing extremist, Marsha Blackburn, coasted to easy victories, each winning all 95 counties in the state. 723, 114 Republicans voted and just 380,651 Democrats participated. The average of all current polls show Bredesen beating Blackburn by 4.5 points. But Next week Republican superPACs will begin a multimillion dollar TV smear campaign against him. Trump has already endorsed Blackburn and is expected to campaign for her again, calling Bredesen "very liberal," although he is actually very conservative. 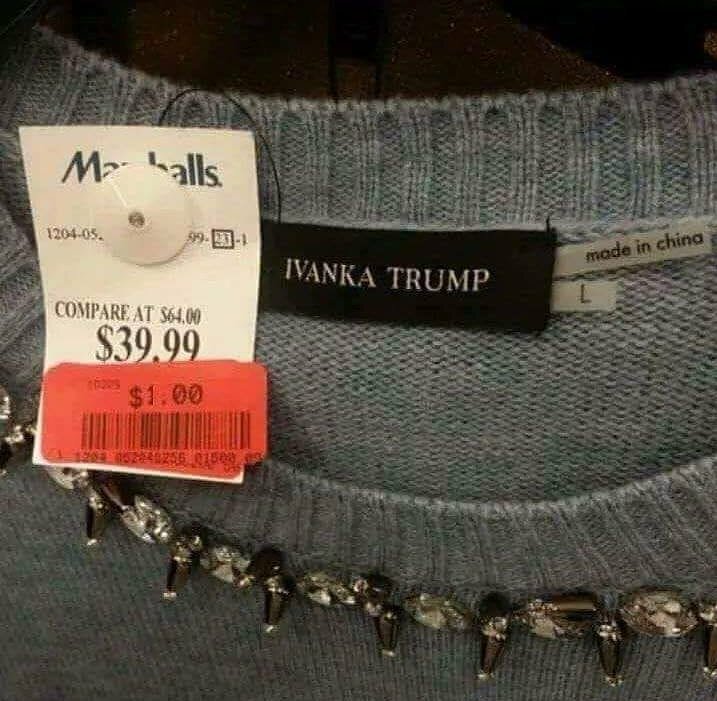 Strange that Trump can't get his rabid supporters to buy his daughter's crappy clothing line-- even when the junk is on deep, deep discount. This one started at an overly ambitious $64, quickly went down to $39.99 and is now available for $1.00. Alas, no takers. It still may be too high. Perhaps they should take the two labels off it. 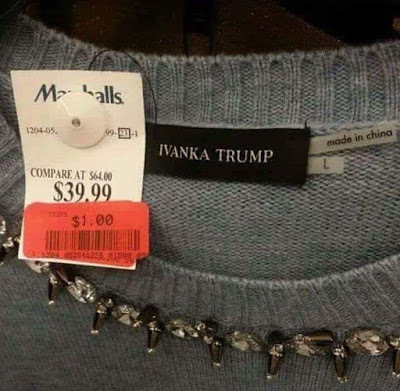 Or maybe she should give up on fine garments and try selling a line of MAGA chewing tobacco instead. More proof that the GOP will need to pull a lot of electoral dirty tricks this fall. How disgusting Ivenka, Communist China! And your MORON dad is Prez (sic)!!!!!!! 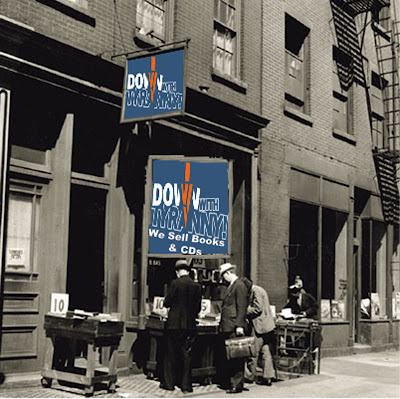 Just a thought, but no proof: is there now a split in the GOP as there is in the "democratic" Party between the corporatists and the progressives? I have seen hints that this might be so, but I've not seen any articles discussing this. If anyone knows of any, please post links.